she shall be called Woman." Weddings are occasions of great joy, and rightly so! Celebrating the gifts of family, faith, life, and love surrounded by friends and family is something to be cherished. We share in your joy and want to help to make that special day a memory to be cherished for years to come. As with every other aspect of getting married, the ceremony requires preparation and planning beforehand. If you would like to celebrate your wedding at St. Ann or St. Vincent, you will need to meet with the pastor at least six months before the tentative wedding date in order to discuss your intentions, review the Marriage Preparation process, and receive the Wedding Planning and Parish Policies packet. It is imperative that the couple understand the Diocesan wedding requirements before making final plans, so please contact the pastor or parish office as soon as you begin planning (especially if an annulment may be needed). For those couples who have already married in civil law but not in the Church, convalidation is a way to ‘get the marriage blessed’. Depending on the situation, this can be as easy as a few meetings with the pastor and a simple ceremony in church, or it may require more effort and recourse to the annulment process. Regardless of the complexity or simplicity of a particular situation, couples are encouraged to come speak with the pastor in a confidential meeting to begin the process of returning to Holy Communion. 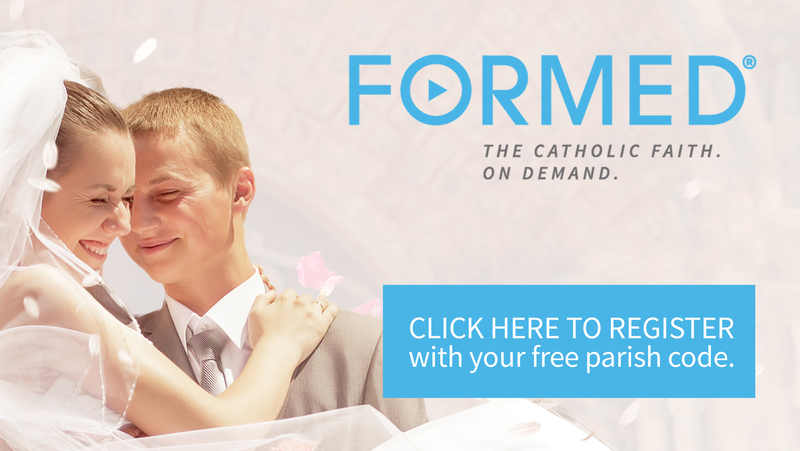 For information on Dating, Engaged Couple FAQ's, Planning a Wedding, and more, visit www.foryourmarriage.org. Check out the Beloved Program by FORMED.org. Beloved: Mystery & Meaning of Marriage speaks to the very heart of every husband and wife, bringing sacramental truth and God-infused love into the everyday challenges of married life. Click the image on the left and register to see the program!